An augmented reality system developed by Lyft may make it more impractical for motorists to figure out who to take. In a patent application released Thursday by the US Patent and Trademark Office, Lyft proposes an enhancement to reality system that helps passengers and drivers find themselves with virtual announcements laid out over the real world. According to the documentation, the system uses a combination of GPS, traffic information and historic ride-along data from previous Lyft passengers to determine the best location for drivers to pick up their passengers. The system then anchors an augmented reality display in the app's camera view, so passengers know where to wait for their ride. The system may in turn display augmented reality elements so that the driver can identify his passengers. The technology seems to be ideal for implementation in the Lyft mobile app, but the company holds open its options to drain the Microsoft HoloLens as a potential augmented reality device for the technology. "Based on the ideal pickup location, the augmented reality transport system generates the presentation for the passenger (eg via an augmented reality device such as Microsoft HoloLens) an augmented reality element for marking or determining the ideal one Pickup location ", it says in the description of the patent application. The proposed AR feature is very similar to the concept of the AR cloud company Blue Vision, which Lyft presented in October, in 2018 for an unnamed sum. In the concept of Blue Vision, augmented reality passengers would help determine which car drives with similar augmented reality elements. However, Lyft originally filed his patent in July 2017. 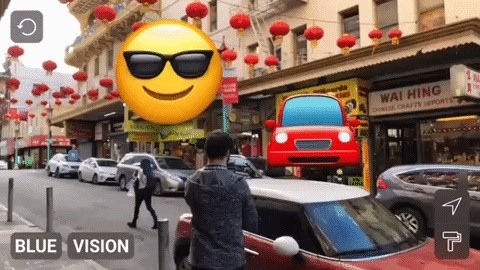 Put the two concepts together and a In terms of Lyft's short-term goals for augmented reality, a picture is formed to connect strangers in the name of trade. However, the acquisition of Blue Vision by the Ride-Share company also has implications for self-driving vehicle technology. "We believe that a detailed understanding of the world is the most important requirement for a secure and scalable self-drive platform ", said Peter Ondruska, co-founder and CEO of Blue Vision Labs, in a recent blog post regarding the acquisition. "In particular, this technology helps the car to know where it is, what's around it, and what's not possible with other technologies next, and we're delighted to be working with Lyft to contribute to their efforts, the future Autonomous Mobility. " Similarly, the pending patent of Lyft autonomous vehicles would provide an even better understanding of the vehicle environment. 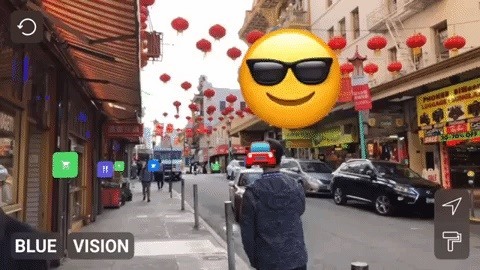 In the meantime, Lyft's and Blue Vision's evolving technology appears to be intended as an AR feature for mobile apps.